Jordan graduated from Eastern Michigan University in 2007 with a Bachelor of Arts in Economics and Political Science. He earned his Juris Doctor from Chicago-Kent College of Law in 2010, where he was a member of the Moot Court Honor Society. 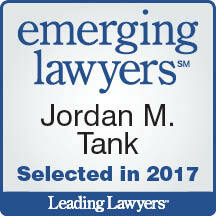 Jordan was admitted to the Illinois bar in 2010. He has also been admitted to the U.S. District Court for the Northern District of Illinois (including the trial bar) and the U.S. District Court for the Central District of Illinois. Jordan is a trial attorney who has represented his clients in jury and bench trials, evidentiary hearings, binding arbitrations, and hearings before administrative agencies. He has tried several cases to verdict in which the plaintiffs asked the jury to award more than $50 million in damages. He also has significant appellate experience; he has represented his clients in state and federal appellate courts, and has collaborated with other attorneys before and during trial to help them preserve issues for appeal. 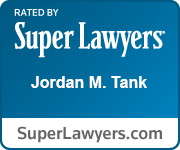 Jordan's broad litigation practice encompasses business and personal injury cases. 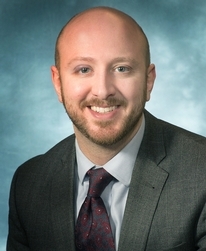 He has been named one of the top 100 civil defense litigators in Illinois; Leading Lawyers named him an Emerging Lawyer for commercial, civil appellate, and personal injury defense litigation; and Super Lawyers selected him for inclusion as a Rising Star for business, appellate, construction, transportation, and product liability litigation. He has represented clients in disputes involving antitrust violations, breach of contract, civil conspiracy, class action, fraud, insurance coverage, RICO violations, and warranties. In personal injury cases he primarily defends clients against catastrophic injury and death claims arising out of transportation, construction, and product-related accidents. He also defends other attorneys and medical and design professionals against malpractice claims. 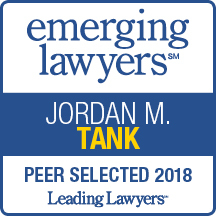 Jordan has served as a member of the Board of Directors of Legal Prep Charter Academy, a free, open enrollment high school in Chicago’s West Side that provides a legal themed college-preparatory education to underprivileged students. He has also prepared wills, living wills, and powers of attorney for first responders through the Wills for Heroes Foundation.